A relaxing stay awaits you at this charming 2-bedroom, 2-bathroom Murray Harbour house. Up to 6 guests can comfortably sleep in this lovely property, which provides access to an amazing private beach as well as all of the amenities you'll need! 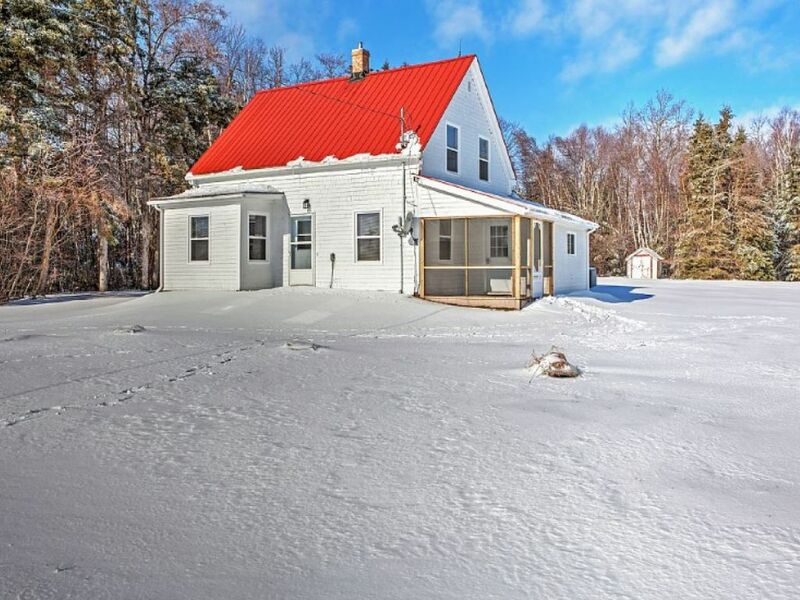 With recent renovations to both the interior and the exterior, this Prince Edward Island home is sure provide an enjoyable getaway for you and your travel party. You'll love the unique experience of staying in a typical Island Century home, but with completely upgraded amenities and furnishings. With sleeping accommodations for up to 6 guests, this home is ideal for a family or group of friends looking to get away from the stresses of everyday life. Awake in the mornings to enjoy your freshly cooked, homemade breakfast on the screen covered porch. Take in the fabulous views as you revel in the 27 acres of land that surround you. When you're ready to leave the home for the day, a short walk or an even shorter drive will lead you to a private beach on Fox River Ocean Inlet. Relish the tranquility as you lounge on the water's edge, listening to the water splash with the rise and fall of the tide. After a day spent kayaking atop the shimmering water or relaxing with your toes in the sand, return home to cook a delicious dinner in the fully equipped kitchen and unwind for a peaceful night in. - Enjoy private access to the beach on Fox River Ocean Inlet! - Wonderful location atop 27 acres of secluded land - Close to restaurants, wineries, golf courses, lighthouses, beaches and more!